The Earth's atmosphere is divided into five different layers, all which are very unique. These different atmospheres include the Troposphere, Stratosphere, Mesosphere, Thermosphere, and Exosphere. All three layers function in keeping the Earth habitable, protecting us from the Sun's strong rays, keeping us warm and maintaining comfortable temperatures. Thanks to the atmospheres surrounding us, we even have weather such as precipitation and wind, both of which encourage the well-being of our ecosystem. The atmospheric layers also help protect us from falling debris. NASA  reports that there is over 100 tons of space debris that strikes Earth a day. However, the Earth's atmospheric layers ensure that by the time the debris reaches ground level, its innocuous powdery dust. There are several benefits to each of the five layers of our atmosphere. Let's delve a little deeper! The Troposphere is the first layer above the Earth's surface and the closest to the ground. Starting at sea level, the Troposphere stretches to a height of approximately seven to 20 km. The higher the altitude, the thinner the air, which is why mountain climbers require oxygen to breathe at times. The "boundary layer" of the Troposphere is responsible for the creation of bumpy surfaces, resulting in uneven and rugged environments prevalent in our everyday world. Heated from the layers above, temperatures at the top of the Troposphere can reach around -55°C. This layer also contains half of Earth's atmosphere, around 80% of the atmosphere's mass, and is where most weather occurs. The Tropopause is the section separating the Troposphere and the next layer, the Stratosphere, and occurs around 10 km from sea level. This layer begins at around 50 km above ground level. This layer is where many aircraft fly, as it provides great stability, resulting in less turbulence. 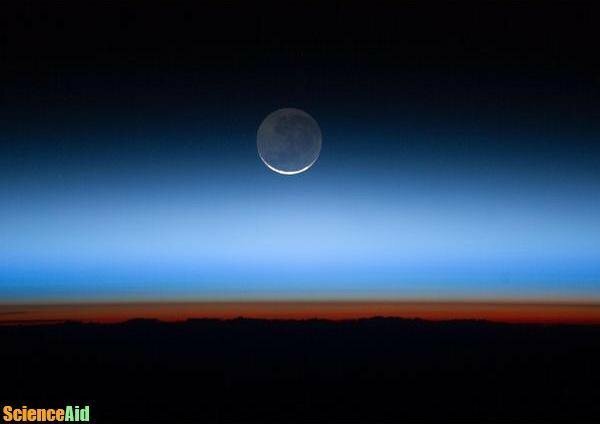 About 90% of ozone exists in the Stratosphere. The ozone absorbs ultraviolet rays (UV) from the sun and permits only a small about of the Sun's rays to reach the surface of the Earth. As with other layers, the temperature increases the higher the altitude. Higher temperatures result in very dry conditions and little to no precipitation, ultimately leading to few clouds. The Stratosphere has extremely thin air (1,000 times thinner than the Tropopause) and breathing without oxygen in this layer is impossible. The third layer of Earth is the Mesosphere. It begins at about 50 km above Earth's surface and stretches to an altitude of 85 km. There are difficulties in obtaining information about this layer as it is difficult to get scientific devices up to such an altitude and still take measurements. In recent years scientists have, however, had luck with obtaining information utilizing sounding rockets in the past. Just like the other layers the higher in the Mesosphere, the colder the air gets. The top of the Mesosphere is the absolute coldest part of the Earth's entire atmosphere, reaching approximately minus 90°C! Despite the extremely chilly temperatures, this layer is where meteors and rock fragments traveling from space burn up. One of the most interesting things we have learned about this layer is in regards to its Noctilucent Clouds or night clouds. These clouds are only visible in the evening and consist of ice crystals. Because these clouds are sandwiched between the Mesosphere and the Stratosphere, the shapes of them are spread out across the sky. The ice crystals and dust from space debris reflect the sun and exude a deep blue color. Many miles above thunderstorms, 'Sprites' and 'Elves' have been sighted, which are considered a form of lightning. Beginning at an altitude of about 90 km and stretching as high as 500 to 1,000 km above Earth is the Thermosphere. This is the layer in our atmosphere that we refer to as outer space and is the atmosphere layer that the International Space Station orbits our planet Earth. As this layer is much closer to the sun, the temperatures in the upper part of this layer reaches 500°C to 2,000°C. The temperatures fluctuates depending on the time of day and the strength of solar activity. For instance, temperatures can be around 200°C hotter during the day than at night time and can become even hotter when the Sun is extremely active. Composed of 80% nitrogen and 20% oxygen, the air density is very low in the Thermosphere. The Southern and Northern lights (also known as Aurelia Borealis) a natural light display usually witnessed on Earth in the Artic or Antarctic - occur in the Thermosphere layer. 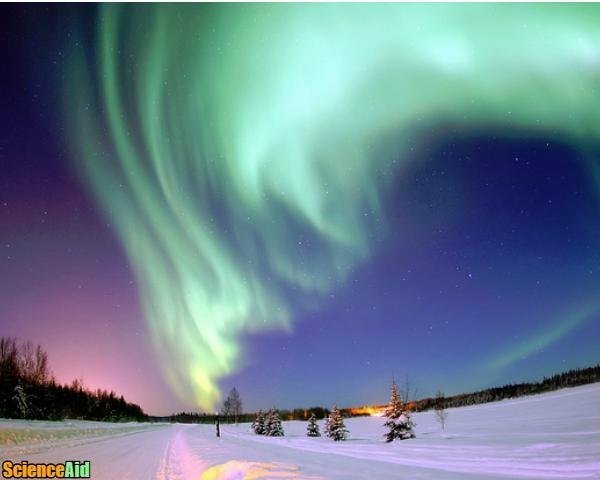 To find out more about the Aurelia Borealis check out Aurora Borealis and Australis - Causes and Facts. The final layer in the Earth's atmosphere is the Exosphere. It is separated from the Thermosphere by the boundary layer called the Thermopause and starts at an altitude of approximately 500 km and stretching to about 10,000 km. The Exosphere is often to referred to as 'the crust' for this reason as 'exo' means 'outside.' Makes sense, doesn't it? This layer is extremely thin and simply separates and ultimately merges with interplanetary space. MLA (Modern Language Association) "Five Layers of Earth." ScienceAid, scienceaid.net/Five_Layers_of_Earth Accessed 20 Apr 2019. Chicago / Turabian ScienceAid.net. "Five Layers of Earth." Accessed Apr 20, 2019. https://scienceaid.net/Five_Layers_of_Earth. Thanks to all authors for creating a page that has been read 3,222 times.